Remember: Prevention is the best way to avoid plant diseases. Planting the right plant in the right place and following good cultural practices can prevent a disease from taking hold, even when the pathogen is present. As always, identification is key before beginning any treatment. Your landscape professional can help identify and treat plant problems that may arise. These grey/white spots on leaves and stems are common in the springtime as the disease prefers mild temperatures. The disease kills the tissue beneath, leaving behind yellow and brown necrotic patches. 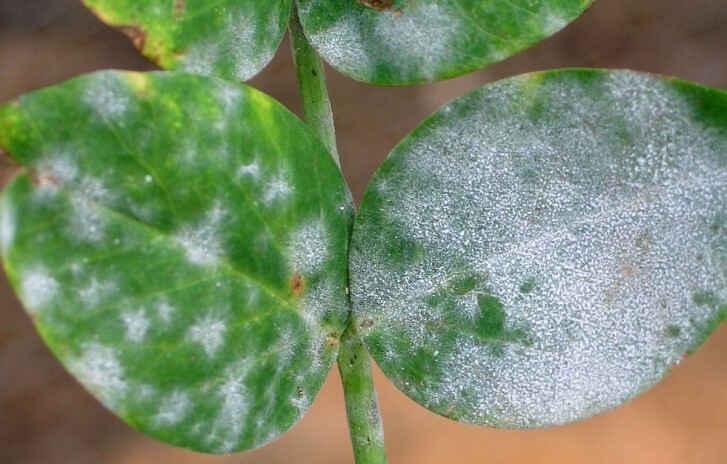 Unlike most foliar diseases, powdery mildew prefers a dry environment. Low light and poor air flow, moderate to high humidity and no surface water are ideal conditions for this disease. Interestingly enough, an effective measure in preventing and treating powdery mildew is to spray the foliage of your plants daily with plain water from the hose. Powdery mildew hates water! The only caveat with this method is to be sure you do it early in the day so that the foliage completely dries before cooler evening temperatures arrive. 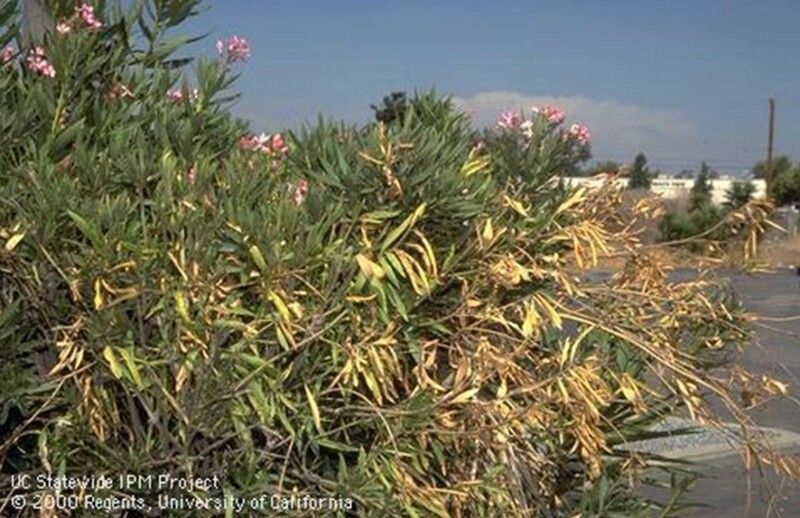 This disease is caused by the bacteria Xylella fastidiosa which is transmitted by sharpshooter insects. 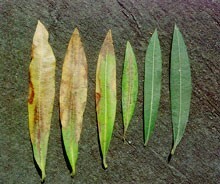 The symptoms of leaf yellowing followed by browning, and necrotic leaf tips and margins on random branches of the plant are often confused with salt toxicity and water stress. The plant will continue to decline and eventually die. No treatment is available. 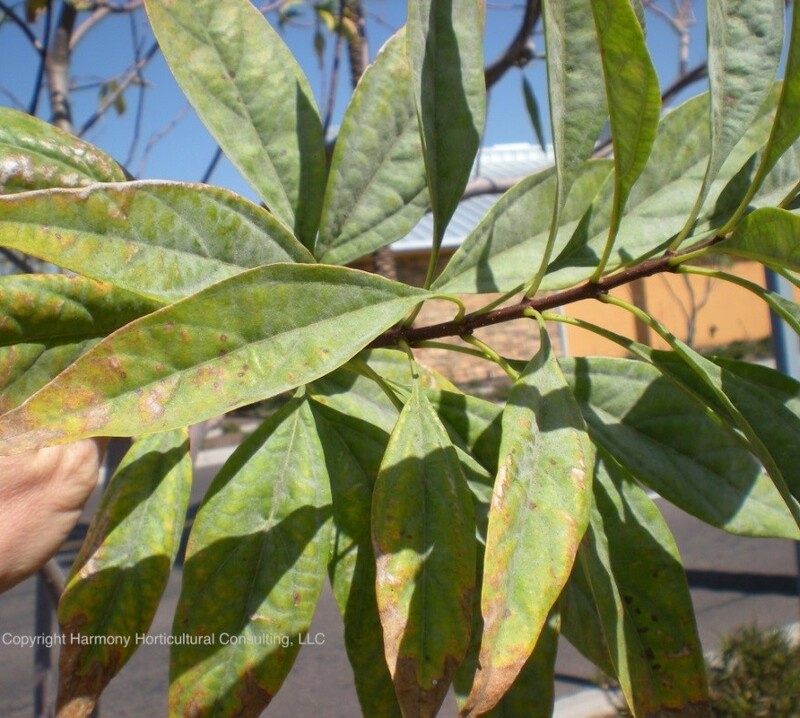 While pruning out affected branches will improve the appearance of an infected plant, it will not cure it so removal is recommended. Lab testing is the best way to confirm diagnosis. Many species of Phytophyhora, water-loving organisms (oomycetes), cause root and crown rots. 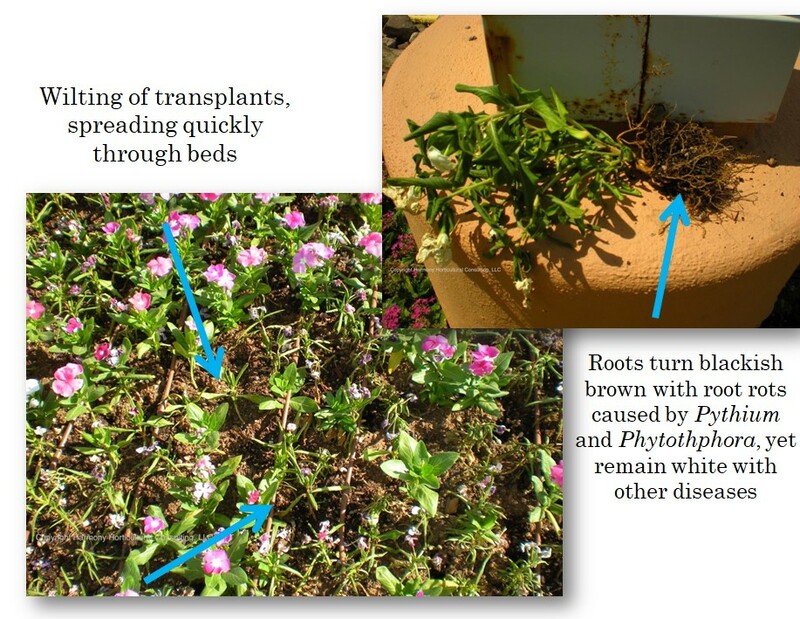 Symptoms include rotting tissue at or below the soil line followed by wilting and plant death. Infected roots turn brown or black and you can easily pull off the outer layer. These “water molds” thrive in overwatered, warm conditions and in soils with poor drainage. Integrated pest management strategies include improving water drainage, raising the planting site, separating plants, shrubs and trees according to their irrigation needs, and avoid overwatering. Consult with your landscape professional who can help identify and treat plant problems that may arise.